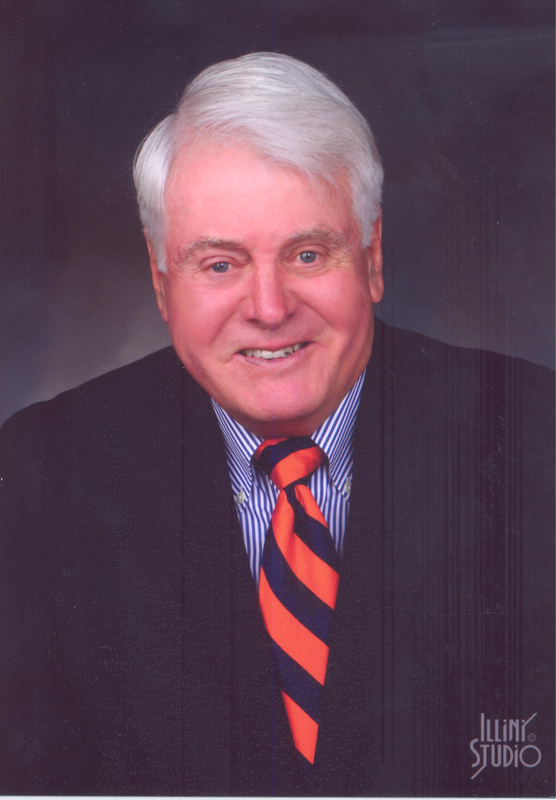 John A. Stevenson, Jr. received two degrees from the University of Illinois: a BS in the Teaching of Mathematics in 1960, and an MBA in Industrial Marketing in 1978 from the joint University of Illinois and Bell Advanced Management Executive Program. His career began in June 1960 when he joined AT&T and Illinois Bell in an advanced officer training program. At AT&T he rose to Vice President of Marketing of the Consumer Products Division and managed a labor force of 15,000 employees with an annual revenue budget objective exceeding $2 billion. He was responsible for product development and management of over 600 telecommunications products, and he designed a new revenue long-term strategy for retail and global markets resulting in the first phone center store in Woodfield, IL, and the addition of 800 retail stores throughout the U.S. In 1984, he was selected as one of eight executives to be considered and trained to be President of AT&T. In 1985 he was selected as one of the officers to testify at the federal government’s AT&T divestiture hearings. In 1985 Stevenson was asked by University President Stanley Ikenberry to become the Corporate Officer of the newly formed National Center for Supercomputing Applications (NCSA) at the University of Illinois. The center was designed by the federal government to be the leading center in the world for high performance computing. NCSA’s key mission was to “strengthen the competitiveness of American industry” and the university needed someone with high level corporate experience to accomplish this demanding mission. Stevenson saw this as an opportunity to make major world changing accomplishments so he took early retirement from AT&T and returned to the University of Illinois campus. Stevenson’s vision was to design and create the Industrial Partnership Program at NCSA that would teach all industrial sectors the value of supercomputing and the related high performance computing technologies. Stevenson marketed the program to the top corporations in the U.S., with him signing 20 major corporations in 13 of the industrial sectors to be partners. He managed the program for over 25 years with companies such as Eastman Kodak, Motorola, Amoco, Boeing, J.P. Morgan Chase, and Caterpillar. Each corporation accomplished a major competitive breakthrough and the total breakthroughs exceeded 40. In the late 1980s John met Senator Al Gore when Gore came to NCSA for a national press conference. After a meeting with NCSA Director Larry Smarr to discuss the future of supercomputing in the U.S., Gore asked Stevenson to help draft two bills that were needed to strengthen the governmental foundation that would enhance supercomputing’s future – the 1988 National High Performance Computer Act (which established a national computer plan), and the 1992 Information Infrastructure and Technology Act (which opened the internet to commercial traffic). This was followed by the planned NCSA release of the MOSAIC software, the first web browser that opened the internet to the world. Stevenson has also excelled in community relations. He served on several boards and as Chairman of the 1980 Chicago United Way/Crusade of Mercy campaign where he exceeded the fundraising objective. He has received several honors including being honored by his hometown of Danville, Illinois when he was inducted into the town’s Wall of Fame in 2014 for his accomplishments. In 2015 he was honored by the University of Illinois when he was awarded the Honorary “I” for his loyalty and many service contributions to Fighting Illini Athletics and for his contributions to the University. Stevenson retired as NCSA’s Corporate Officer in 2008, remaining as Senior Consultant until he retired from that position in April 2017. John considers his family as the most important aspect of his life.